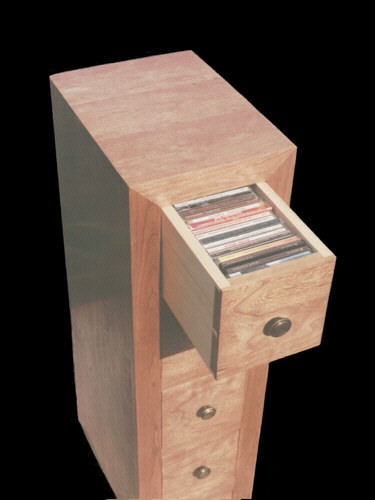 This is my latest CD storage cabinet design. Its dimensions are: height- 36 1/2" x width- 10 1/4" x depth- 14". It has four drawers, each holding 25 - 40 CD's depending on the depth of the unit ordered. 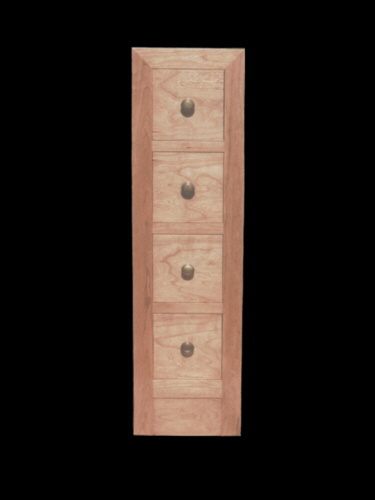 The cabinet may be built in any depth from 12" to 18" out of most standard woods and is shippable by FedEx for a nominal charge. 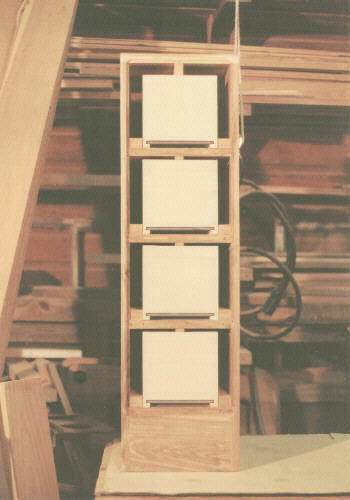 With the back removed, this picture shows the individually fitted drawers, each sliding in its own position. All drawers are made using hand cut dovetail joinery. 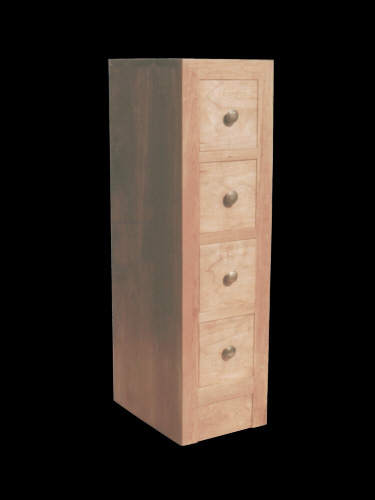 The drawer bottoms are made of solid aromatic red cedar to provide a nice fragrance and to keep away harmful insects. To a 5-drawer southern yellow pine and cherry CD chest. Copyright ©2000 - 2012 Stan Pike Designs.